The Abbey was not the first speaker in the Geddes line, but it has been the most popular. Its performance is legendary and it is today the only speaker that is available in kit form at various level of finishing. Below are shown polar data plots (in Moore ERB smoothing). This data is for the horizontal polar response. 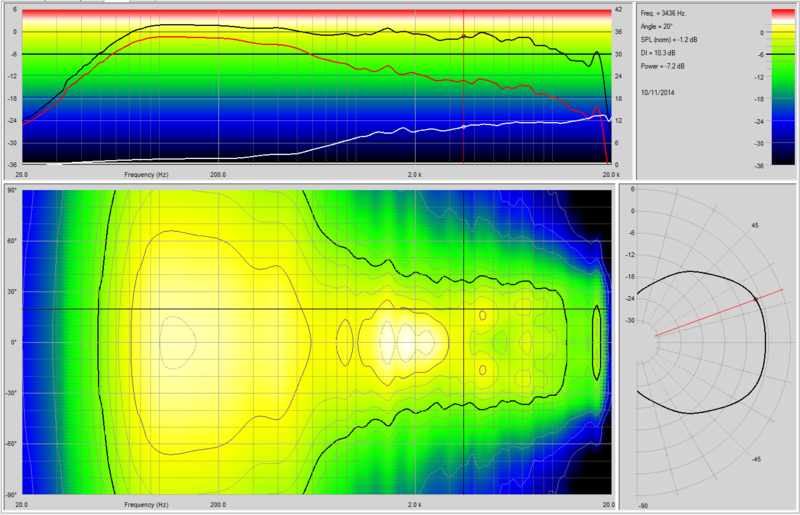 On the lower left is a polar map which shows sound levels as a contour map in 6 dB increments. The vertical axis represents the angle in degrees and the horizontal axis represents frequency. These polar maps represent the best source of loudspeaker response data available. On the top is the standard frequency response, usually at some off-axis angle, here 20°. The reason for this is the desirability to "toe-in" the loudspeakers for a broader "sweet-spot". The red curve is the power response and the white curve is the Directivity Index (DI). Ideally the power response and axial response should fall gradually while maintaining a flat DI. The NS15 represents	the ultimate in control towards this goal. On the right of the polar map is the exact same data shown as a more typical polar plot. The grid lines are every 7.5° and the angular resolution is 2°. From about 100 Hz to well over 10 kHz and from the axis out to almost 35° the response is uniform within a few dB - a remarkable feat. 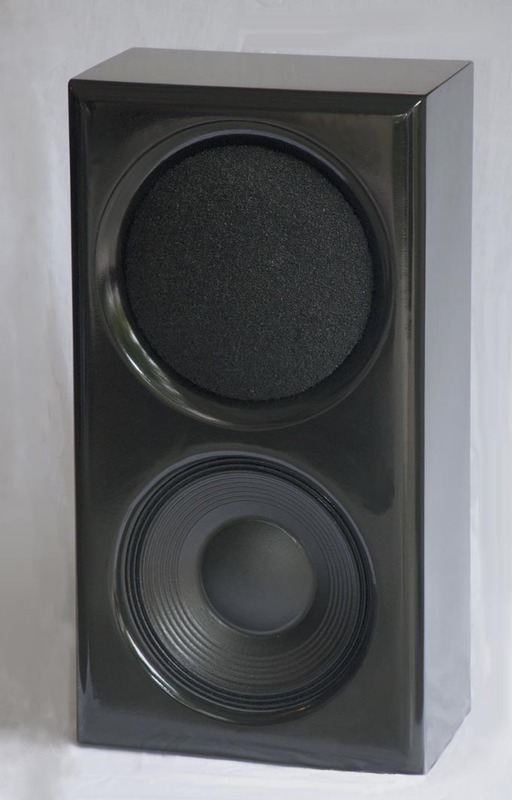 This is a closed box design and is intended	to be used with multiple subs, however, ported designs are possible for extended low end should the use of multiple subs (which are highly recommended) not be desirable. Size: 26" x 15" x 11"
Impedance: 8 Ohms above 100 Hz.